If you’ve ever had to wash a dog, you’ll know it can be quite the ordeal. 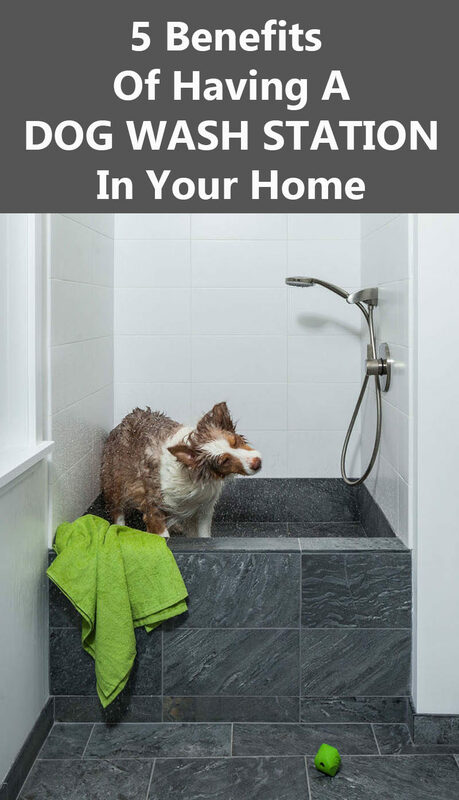 The dog is dirty to begin with and you have to get it up into the sink or bathtub, awkwardly maneuver the hose, wash the dog, dry the dog enough so it isn’t dripping all over the place, get it out, and clean up the mess. I’m exhausted just thinking about it. 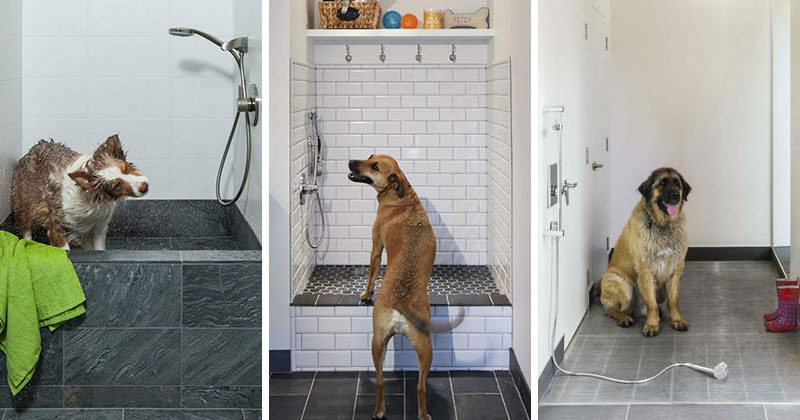 A dog washing station built into the design of your home is one way to make the whole process a lot easier. 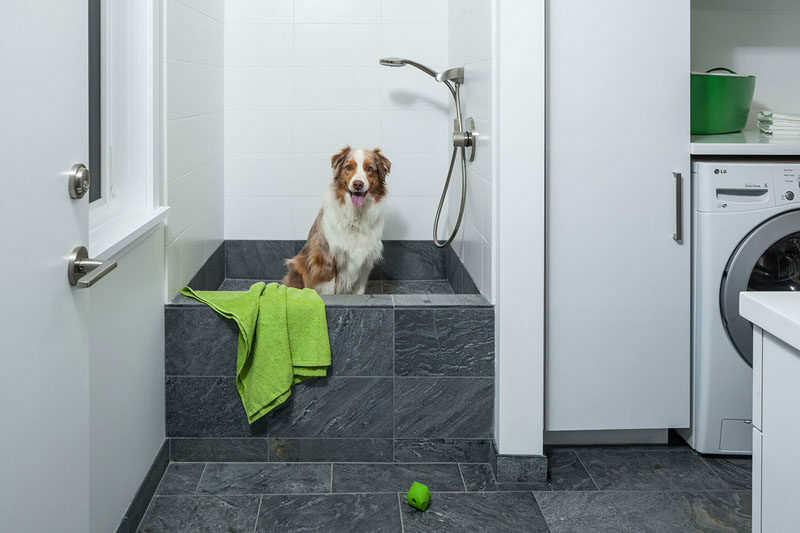 Here are 5 benefits of having a dedicated built-in dog wash station in your house. When you have to walk your dirty dog through the rest of the house to get to a sink or bathtub you get the dirt and mud everywhere. 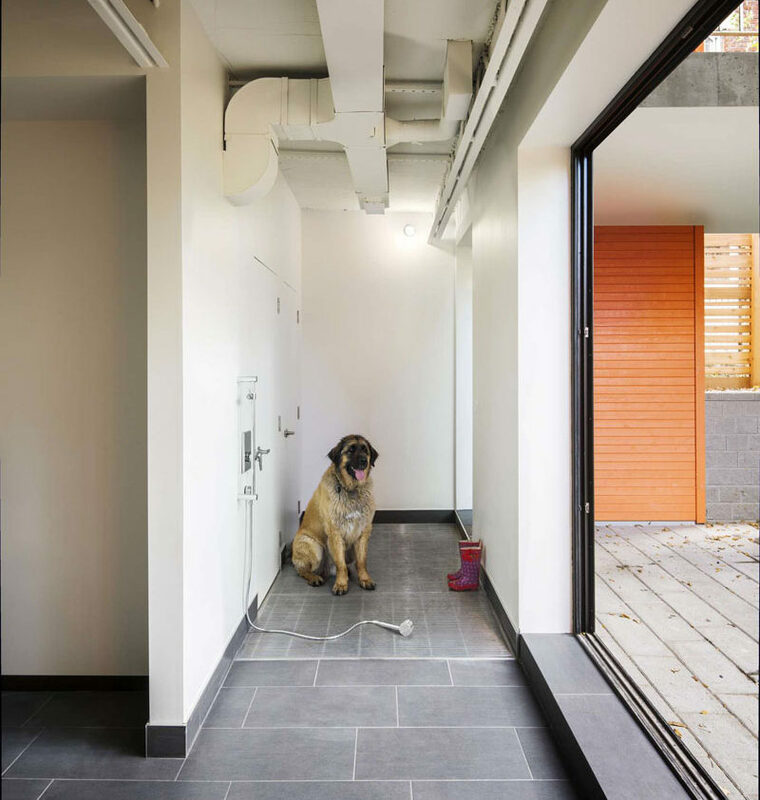 With a built-in dog wash station you can make sure it’s right next to a door, so when you get back from a muddy walk, the washing station is right there. 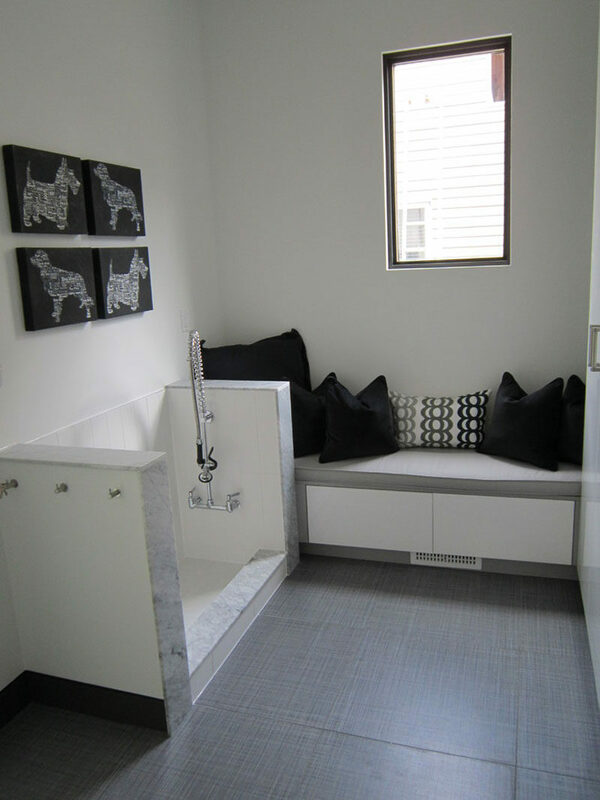 Having a built in dog wash station also creates a designated dog area, a spot where all their toys, treats, shampoos, leashes, and other things can be stored together, keeping life more organized. Interior design by Martha O’Hara Interiors. Photography by Corey Gaffer. You’ll get a cleaner dog with less effort, and who wouldn’t want that? 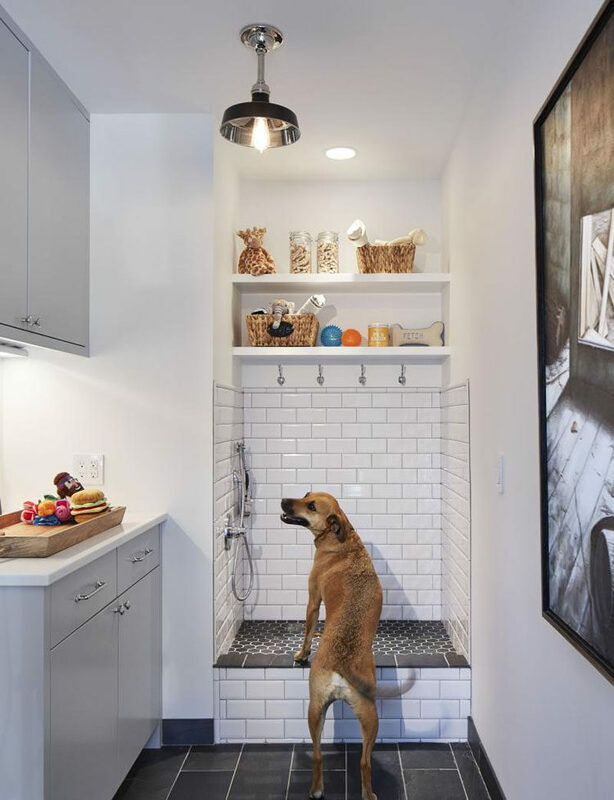 A built in dog wash station is also much larger than your average sink, giving the dog more space to move around and making it easier for you to give them directions and move them as necessary. Designed by Kariouk Associates. Photography by Christian Lalonde Photolux Studio. The height of a built in dog wash station is usually just right for them to get in without needing to be lifted. This keeps the dirt on the dog rather than getting on your clothes as you lift them into a sink. 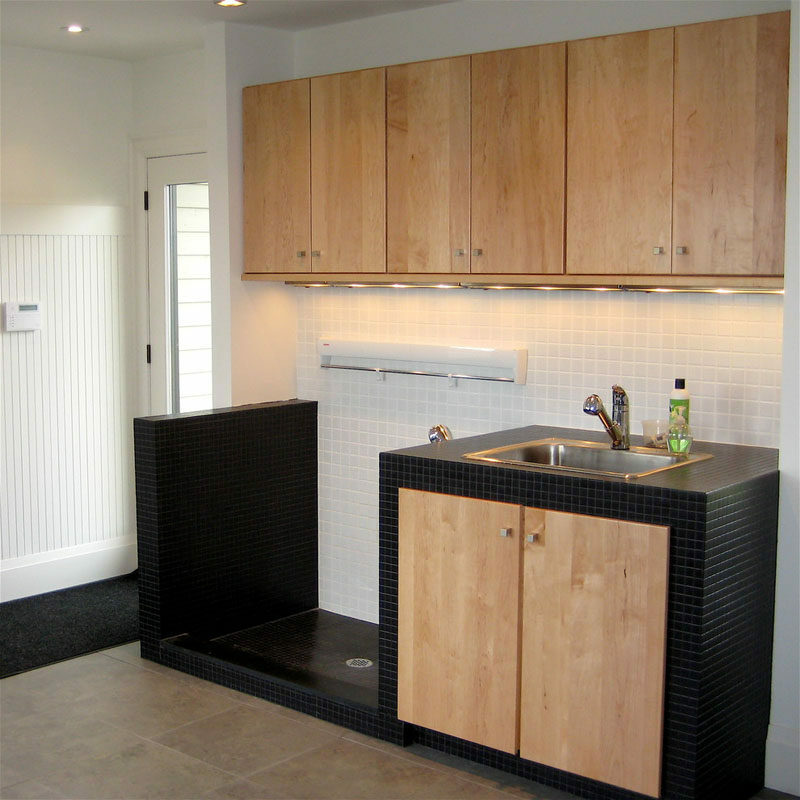 Designed by Hamish Murray Construction, Inc. Photography by KuDa Photography.